I guess you can tell by my last few posts that my favorite stamp set in the Occasions Catalog is the Beautiful You Set. 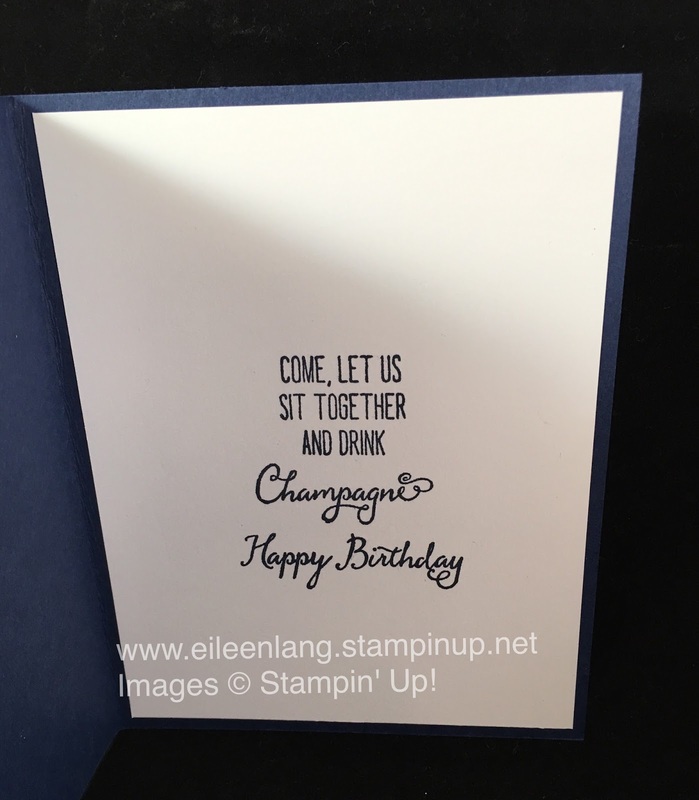 I am offering three different cards using this set at my stamp class this week, and here is the third card. 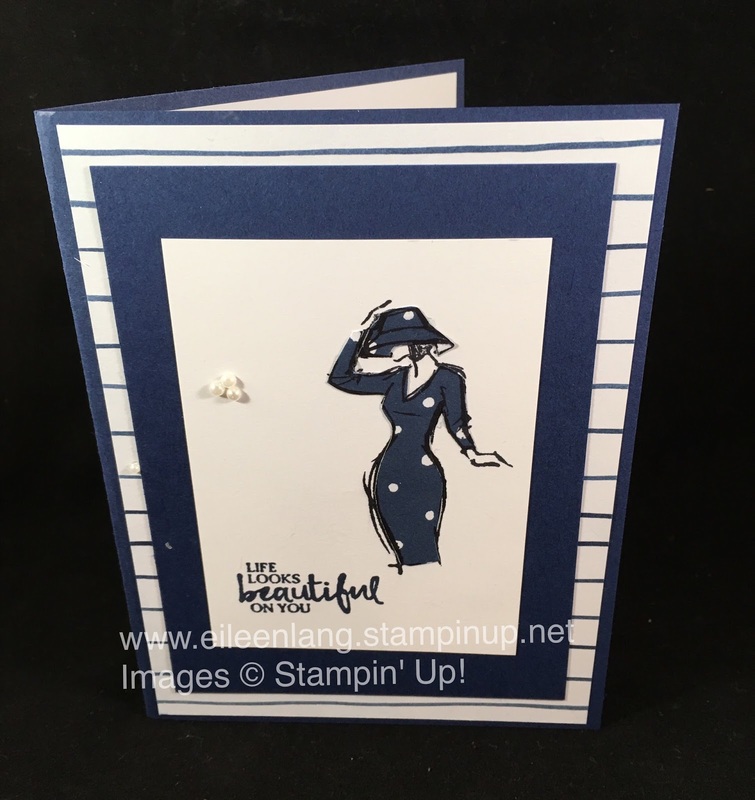 This time I cut out the dress to add some more style to the card. It was really easy to do and I think it adds such a different look. I used a piece of Floral Boutique Designer Series Paper to make her dress. 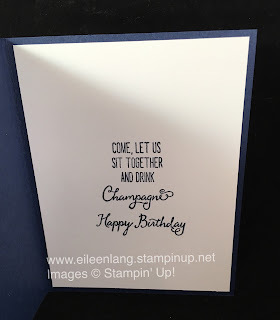 I did this by first stamping the girl onto my Whisper White Card Stock, and then stamping her again onto my Designer Paper. 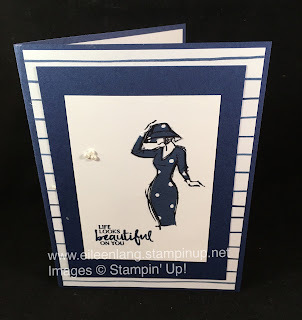 I then cut the dress and hat out using my paper snips and placed this onto my stamped piece on the Whisper White paper. To finish the card I layered on some more cordinating card stock and designer paper and added my sentiment. 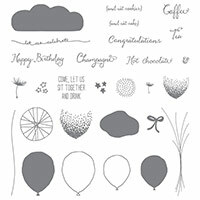 I thought the inside sentiment from the Balloon Celebration stamp set was perfect to go with my stylish lady on the front. I also added some small pearls to the front layer, not for embellishment, but to cover up a smudge of ink. No one else will know this wasn't the plan in the first place, and I think they actually made a nice finishing touch!